With its ability to convey complex messages with subtlety, nuance and wit, TV is the ideal lead advertising medium for The Times and The Sunday Times, says Catherine Newman, chief marketing officer for the two national newspapers, which have won the latest Thinkboxes award for TV ad creativity as chosen by the Thinkbox Academy for ‘Politics. Tamed’, by Pulse Creative London. "We set out to cement The Times and Sunday Times’ position as being number one for political news, reinforcing the trust people have in them and providing some clarity and wit around a serious situation. We also wanted to demonstrate both newspapers calling out the current political situation for what it is," she explains. "We are used to delivering complex messages in our marketing. Our USP is to leave people not just informed, but well-informed. In this campaign, we wanted to address the general political situation and its impact on everyone, so we also wanted maximum reach. TV was therefore crucial." 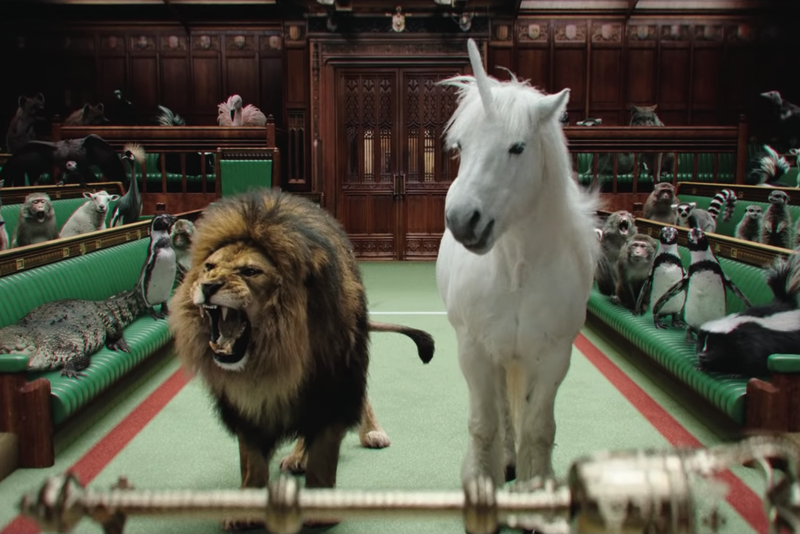 Pulse Creative London was briefed late in November for a campaign to run in the first quarter of 2019, which was due to culminate in Brexit on 29 March. "Obviously we didn’t know then exactly what would be happening now, but we knew it would be a mess," Pulse Creative London executive creative director Robin Garton observes. "We spent a lot of time thinking around the idea of making order from chaos." The idea of ‘Politics. 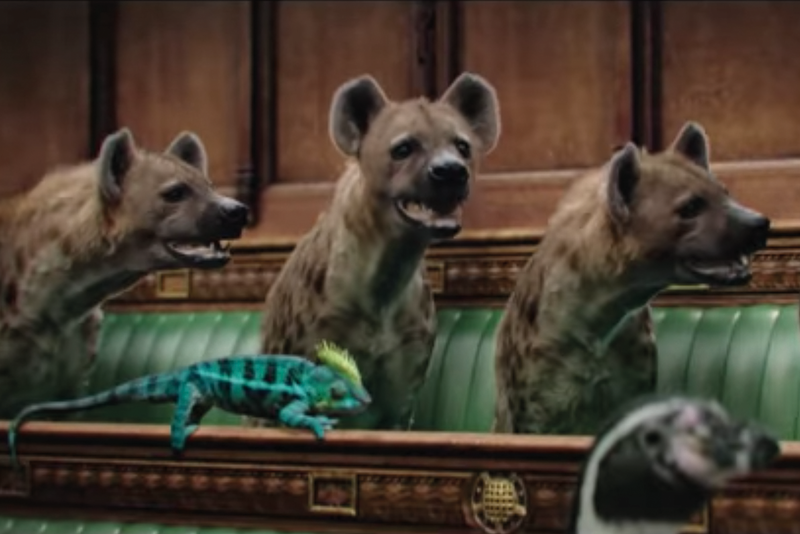 Tamed’ – in which the territorial divisions within the ‘Westminster Zoo’ unfold quite literally as animals heckle and bray in the House of Commons, with a soundtrack that includes the Dr Dolittle song Talk to the Animals – was one of many on this theme. "In fact, it came from a single drawing at the end of a deck of around 70: a hyena outside Number 10. But the image told an entire story. It was powerful and striking, clear and simple. 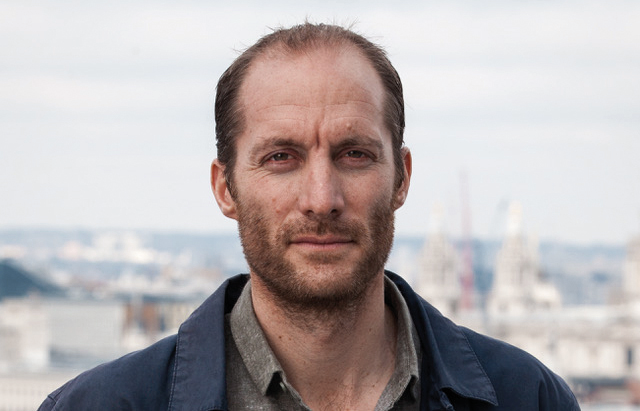 The whole campaign – which became integrated, with TV at its heart – came out of that single image," Garton reveals. "What I look for in a TV script is an idea so good, there’s no danger of any viewer slipping out during it to make a cup of tea," Newman says. "The best TV ads are as iconic as the best TV programmes and create great bonds between consumers and brands." Also important is emotion, however: "We want our audience to feel something as well as understand our multifaceted messages; and not just the visuals, but also the words and music and atmosphere – and, in this case, animal sounds – were all critical. A great TV ad makes the hair on the back of your head stand up. This idea did just that." With time and budget tight, the pressure was on to achieve the distinctive tone, nonchalant wit, good writing and premium look that characterise The Times and The Sunday Times’ ads. "We filmed almost all the animals live, although the quality of CGI these days is so good. Creatively it guaranteed the quality of finish we needed. Then we built the House of Commons in CGI. It was the perfect solution, given the time and budget," Garton says. "Time and budget really forced us to think carefully about our creative choices. So our first conversations were with post-production houses rather than directors or production companies. The director has a background in special effects." The animals were shot in January in two places: in a green-screen studio at Amazing Animals in the Cotswolds, where they got in most of the species needed, and in South Africa for those they couldn’t – the ostrich and hyena. Luckily there were no scary moments – although the biggest cast member, a lion, was the first on set on the first day. "After that, we felt we could do anything," Garton confides. 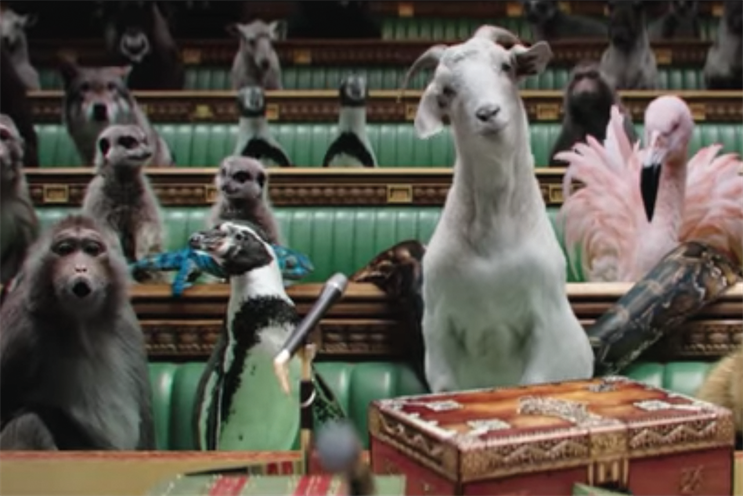 "One thing I knew we had to get right was making the animals look real and like they were actually in the House of Commons. The whole thing was hugely labour-intensive. But we were very specific about limiting the footage and angles we would need when shooting, so we could streamline post-production," he continues. "What was especially gratifying was when Jason Isaacs did the voiceover and, despite being a Hollywood actor and familiar with CGI from his work on Harry Potter, he said: ‘How silly of me – I thought they were really there, but of course it’s CGI.’"
"Always hear a script when you first consider it – shut your eyes, imagine it in your head. Because TV makes anything possible. So, if you love the script you're already halfway there"
All concerned are thrilled with the result. "I bloody love it! Even if no one else had liked it I’d consider it a career highlight," Newman says. "The monkey at the end, when the lion and unicorn walk in, is great. 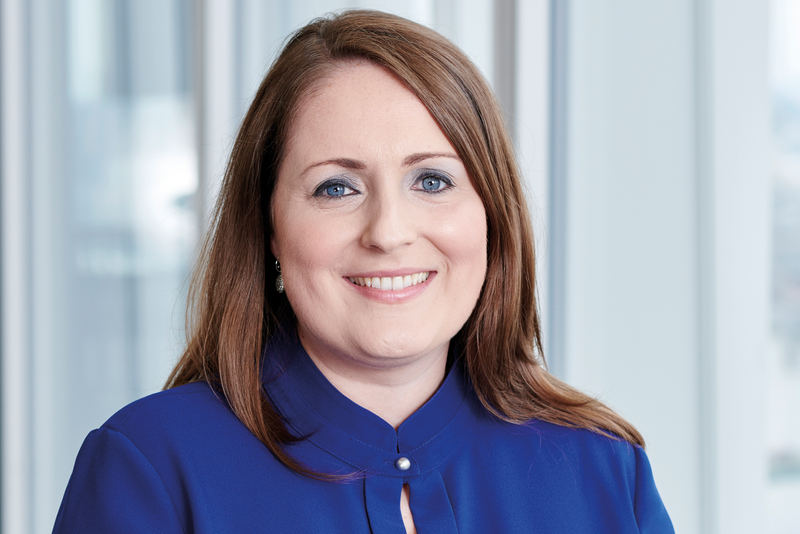 And the lion and unicorn are on our crest, which means it is also a visualisation of how, as a brand, we bring order – it’s not every day you get such a striking opportunity to do that." She adds: "Commercially, it exceeded its targets halfway through the campaign. It’s been brilliantly received, from the proprietor down. And it’s achieved the best response we’ve ever had." "If an ad can work as a single visual, that's an indication your idea is clear from the start – and adaptable, too, to different time lengths or even across different media"
The Thinkboxes, in association with Campaign, are the only regular awards that celebrate the UK’s world-beating TV ad creativity throughout the year. They’re judged by the Thinkbox Academy – 200 advertising and marketing luminaries who have been involved in award-winning creative work for TV. 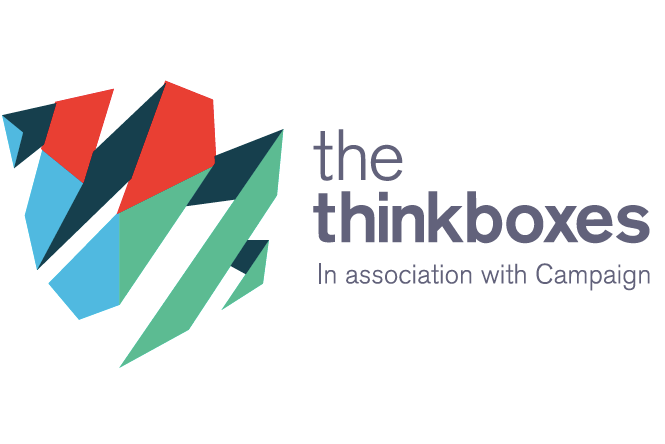 To see the winning ad and shortlist, visit The Thinkboxes.